So what no posts since the 28th September? Well, the simple fact is I realised that I couldn’t write up every session as we were digging deeper and deeper into secrets. This meant that any blog post would simply be a description rather than an in depth reflection. So I stopped writing the project up. At least publicly. At least for now. 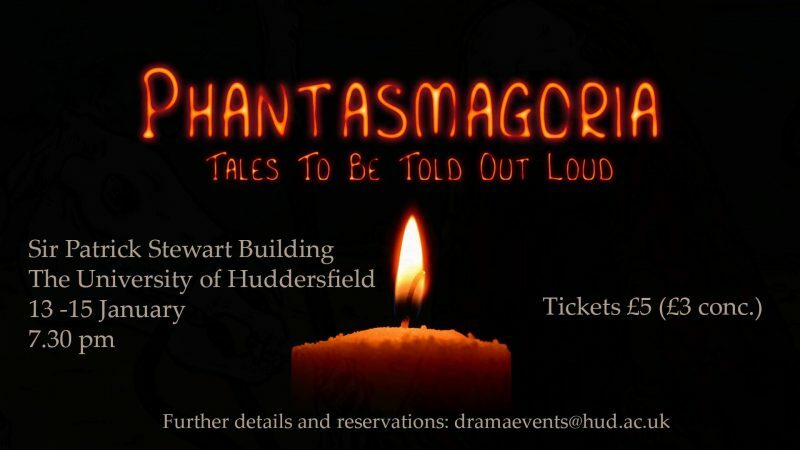 So, began the fourteen week project Phantasmagoria – Tales to be Told Out Loud. I worked with a group of undergraduate performers sharing the practice that I had been involved in over the last ten years or so with the goal of producing an evening of mystery entertainment. The project was certainly, although never explicitly, about my personal journey through this performance form. The premise was simple, each performer would devise through workshop and rehearsal a story that would be illustrated or have within it at least one performance magic effect. The stories, although almost entirely fictitious, would have an explicit geographical connection with the converted church we would be performing in. In the final show the participants (limited to twenty per performance) began their journey by taking part in demonstrations that were broadly speaking theatrical mentalism (again using Landman’s typology), they then moved into the main studio space which was set as a small parlour theatre and were told stories that were either illustrated by a particular effect or had the effect integrated into them. These effects deliberately ranged from horror theatre, traditional bizarre (if such a thing is possible) and sleight of hand card effects. The common thread in this section was practice that demonstrated a range of influences and modes of performance. The audience were then led into rooms to experience stories of a pagan nature, still framed as mystery entertainment, but alluding to the boundary work of tarot, voodoo and folk horror. Finally, the evening was concluded by a full séance that was framed as an attempt to make spirit contact with the people who featured in the stories the audience had just heard. This final section was my séance act, performed and adapted by others. The show played for three nights.